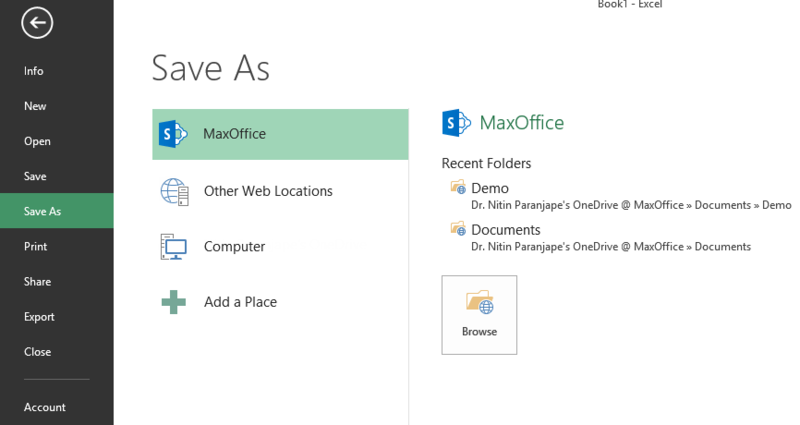 OneDrive for Business is a SharePoint document library in your personal site on Office 365. You get 25 GB of space. To use it, you must have the login id and password to your Office 365 site. If you are not sure about whether you have the subscription, clarify with your IT team. It is a place to store files. It can be used in three different ways. Initially you will need to login to the Office 365 portal. On the top bar you will see OneDrive. 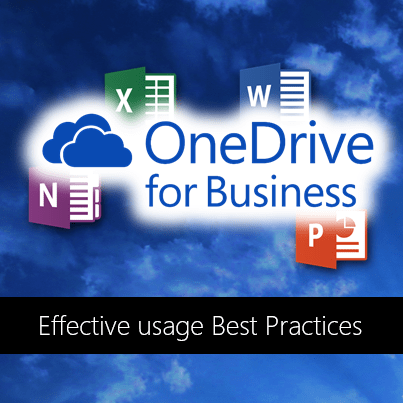 Click to view the OneDrive contents. By default there will be just one folder called Shared with Everyone. That folder is also empty. Now consider this as your MY DOCUMENTS folder. DO NOT store files immediately in this place. Like we do on a local PC, we must create a sensible and logical folder structure here as well. So resist the urge of randomly uploading files here. To upload files, you can choose upload button or even drag drop files from File Explorer or other places. Look at the gray bar at the top. It shows a very important piece of information – which will make more comfortable storing files on OneDrive. It says Documents are private until shared. In short, when you store a document here, nobody can see it unless you decide to show (share) it with others. 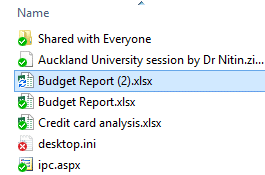 If you want everyone to see the file, add it to the Shared for everyone folder. Everyone means everyone in your organization. You can sort, filter, group files here. Files which are visible only to you (which is the default) are shown with a lock symbol. Files which are shared with others show the people icon. This is the best way. Easy and powerful. Works best with Office 2013. Once you login, this place will appear in the File – Open and File – Save menus automatically. This makes it extremely easy to create documents and store them directly on ODB. No manual work required to remember long URLs for ODB. In addition, the Android you can open ODB files from the Office App. Go to the browser version first and click on the Sync Button. This is only to be done for the first time. Do this when there are few files inside. Choose Sync Now in the next window. It will then show you where the files will be stored on the local PC or device. Windows File Explorer will open and show you the local folder which will now be kept in Sync with OneDrive for Business. For all practical purposes, consider this as your NEW MY DOCUMENTS. You will notice that this folder also appears in the Favorite Shortcuts in Windows Explorer as well as File Open / Save dialogs. This way, it is always one click away. The core concept is that all new documents should be created in ODB and NOT in the local My Documents folder. If you store in My Documents and then COPY to ODB, it is an absolutely inefficient as well as confusing approach. Remember: Nobody else can see your files until you decide to share. Even here we have two choices. Technically, both these mean the same thing. 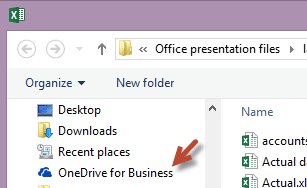 So to simplify your life – just store it in the local sync folder for OneDrive for Business by default. It will be uploaded to the server automatically. A small green mark shows that the file is in Sync. Red cross means there is an issue with the file and it is not yet gone to the server. The blue round arrow indicates that the synchronization is still happening. If you use a laptop, desktop, tablet and iPad, make sure that the OneDrive for Business is synchronized to all these devices. You will have to take the trouble to establish the Sync for the first time on each device. But once this is done, you will get peace of mind. The only downside of this is that this whole thing consumes lot of bandwidth if files are very large. If you create one large file, it will synchronize it across all devices – so the bandwidth will be consumed multiple times. Whatever we have discovered so far applies to newly created files. What about the older ones? We have to remember to store them in ODB now. So here is what you need to do. Whenever you open a file – think – is it outside ODB? then immediately save it to ODB and then edit it. Ideally you should move the original files to ODB, but that can lead to two types of problems. Although 25 GB is lot of space, you may have old files which easily exceed this space. For both these reasons, you should try to move files which are in active usage. You will be surprised to see that we actually use only a small subset of files on a daily basis. I suggest you use a tool called TreeSize to assess which are the recently used files (last 1 year may be) and move those – along with the folder structure to OneDrive. Remaining files can be moved on demand. In fact all these are the benefits of SharePoint. We will explore these benefits in detail, in future articles. Previous PostEditing Office Documents – which method whenNext PostMinimize all windows = Clear your mind! Note – when you add photos to a document library, the thumbnails/preview feature doesn’t work. 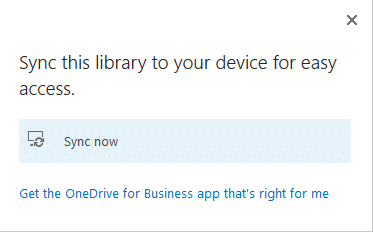 When you add a picture library (which does support thumbnails/previews) to your OneDrive site, you can’t sync it to your PC/Laptop/RT/IOS device. Then once the pictures are in the picture library, there is no easy way to move them to subfolders or back and forth to a document library. Thank you for the feedback. Do let me know if you have any specific needs or topics in mind.. I will cover then in my upcoming articles. Do have a look at the track changes risk article and document inspector (metadata cleanup) articles. All lawyers need these features. I have to thank you for the effkrts you’ve put in penning this blog. 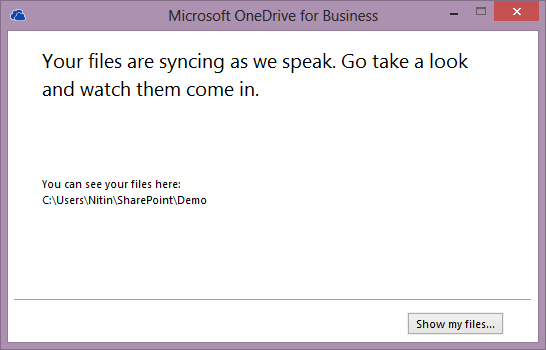 On OneDrive – Browser – or app, Files Shared with Me. I am searching for solution to set notification for folder in a one drive business. I mean, I want to create a Folder named “board”. After that I will share it with two people. They can only view my files. When I create a new file in library, I want to send a notification to those two people. 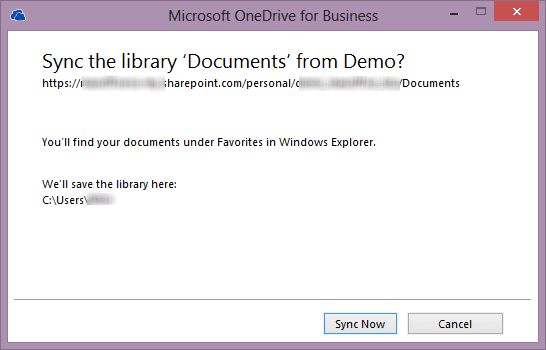 It is easy to setup in Share Point document library but the storage is limited in SharePoint Online. But on one drive, storage limit is 1 TB per user. How can I setup this scenerio? When you add a file or modify it you don’t need to send the notification to others manually. SharePoint will do it for them. They will have to go to the document library and create alerts – Library Tab – Alert Me. They can decide the trigger event (Add, Change, Delete) and the frequency (immediate, daily, weekly) for the notification. As today, there is no auditing in office 365 to know who acessed/viewed a file. You have that option only in Sharepoint server. It is possible. Site Settings – Site Collection Audit Settings. Enable Auditing. To view the auditing add the /reporting.aspx?Category=Auditing to the base URL. All reports are available exactly like regular SharePoint. * Eliminate or restaore items. I will write an article on it with screenshots tomorrow. Which edition of Office 365 are you using? Hi! I have the Small Business Premium. I have shared some files with 2 external users of my domain, and they tell me that they are aware of whom has access. How to avoid this ? I want to share this folder with my clients, but it is vital that they are not aware of each other. Are these users from same domain? or external users with Sign In compulsory? Different domains and compulsory sign in. Internal or External sharing makes the users a CONTRIBUTOR (assuming you have allowed editing). Contributor cannot see who else the library or document is shared with.